Interior design follows some rules for an atmosphere as pleasant as possible. Without professional advice from a designer or architect, you are more likely to choose disparate materials which fail to integrate into a complete, aesthetic and functional structure. And with many natural stones that seduces you at first glance, you take an impulse decision. And the result is wrong, because you fail to realize that all surfaces in a room are interconnected. Being fascinated by some idea, we often neglect that a room isn’t only about flooring, no matter how beautiful it is, and in a bathroom we are noticing more than a natural stone sink no matter how stunning the texture of the material. At PIATRAONLINE we always try to make sure our products match each other, they match the space in which the natural stone will be installed and people understand why this happens like that. The first rule in house interior design says that a room cannot have many materials with different textures and colors. We kept repeating this rule, being sure that, as elementary as it is, it can easily be obeyed. So no more than two colors in one space when talking about wall and floor cladding. The explanation is simple: this chromatic unit gives more freedom of choice to the furniture if the furniture has not been chosen or there are still uncertainties about its color. However, in terms of texture, things are more permissive. The "industrial" genre is based precisely on the "rupture", the dissonance of the textures. Take for example a bedroom, a room with maximum importance in all the plans that focus on the interior design of the houses ... Most people expect to see in this room a harmonious chromatic unit with few contrasts. 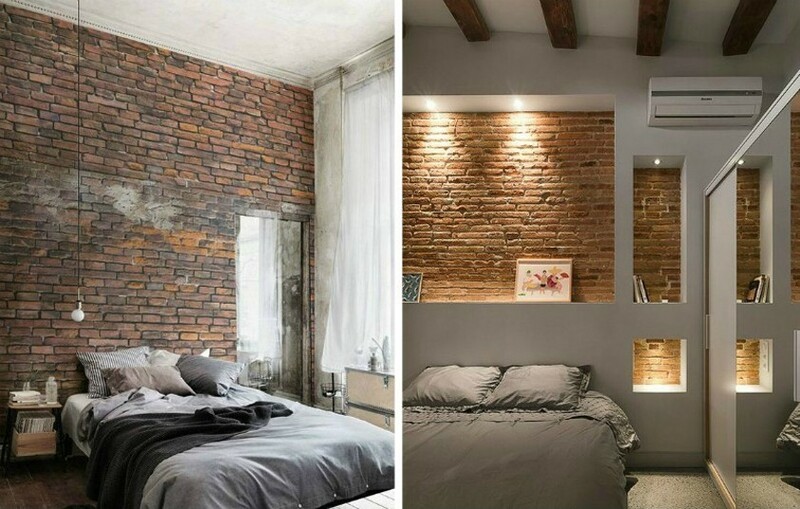 And yet in the above photos we have two examples of bedrooms that include natural decorative stone, whose rough texture you would not expect to find in this context. In the first case (photo 1), the industrial tendency is more pronounced, while the second decoration project combines the classical-elegant style with the industrial touch which is given a slight rustic infusion made by the wooden beams from the ceiling (photo 2). The same applies to photos no. 3 and 4. Of those who only saw the left wall, where everything is in stainless steel and white, 90% would not have imagined that the front wall has brick in sight. And yet the combination works perfectly. In photo 3 we have a rule violation (a risk assumed!) with an interesting result. In Photo 4, everything is obeyed, from matching the floor stones with the tops to the perfect color dialogue. The comfort of the two approaches is, in a way, the same, defined only by the different personality of the owners. 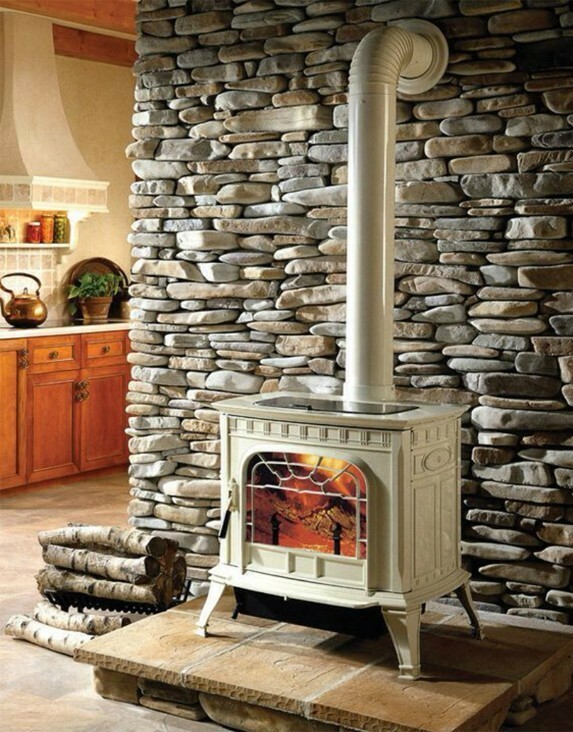 The claddings on a wall we want for contrast are more spectacular when the stone pieces are usually small, this bringing more shades and colors to the room. In house interior design this role is often played by natural decorative stones and mosaics. In the picture below we have an exception: the limestone tiles are large (photo 5). In this situation, it is color variation that plays the fundamental part. The creamy color of the stone makes the transition between the white walls and the brown of the floor and the furniture. The limestone wall apparently breaks harmony, but in fact it is precisely the one that attains it. 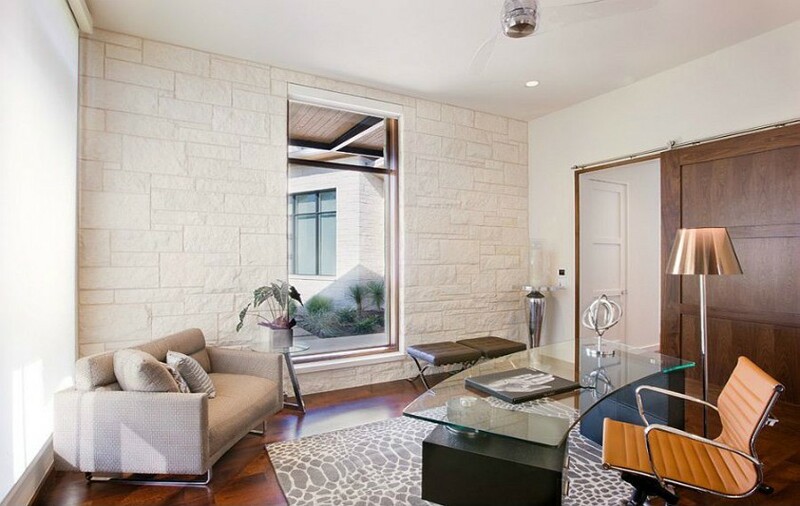 In the interior, houses can always benefit from the presence of a natural stone-cladded wall if, as we say, it can be integrated into the chromaticity of the ensemble. In the following example (photo 6), the stone gray would remain solitary between the shades of cream that mark the place if there was no stove there. The stove fulfills two functions: it chromatically associates with the wall and perfectly supports the traditional natural stone-induced atmosphere. Baths are generally bright rooms, for charging yourself with energy and also for relaxation. 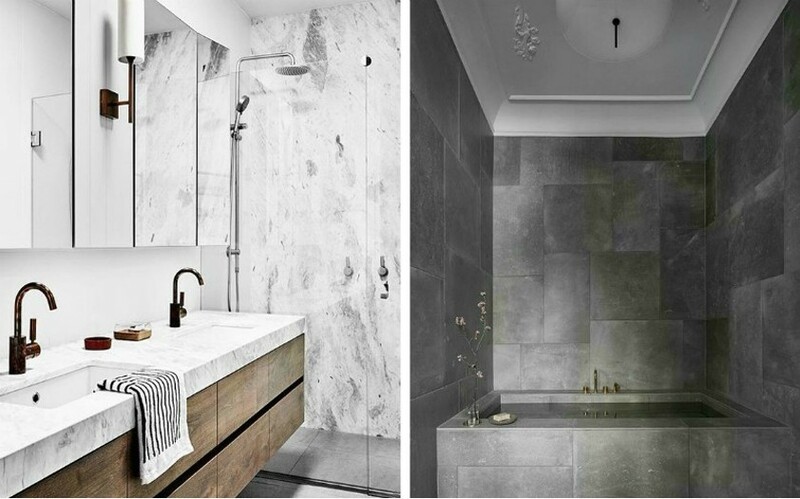 White is the dominant color in bathrooms, and marble is one of the most commonly used materials (see photo 7). However, we also had examples of design that apparently go in opposite directions. For proving that it is not like this, we have the important role assigned to the white ceiling. 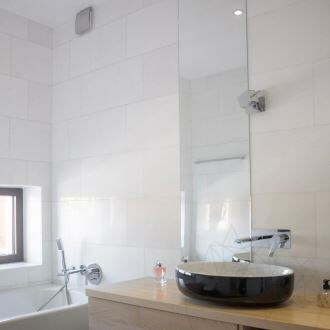 In a totally unconventional way - but perfectly functional from the aesthetic point of view - the area that relaxes the entire atmosphere of the bathroom is the ceiling (photo 8). For the interior decoration project of houses, minimalism does not refer - we specify this for the few who still confuse the meaning - to a small space, but to a small number of elements and colors used for decorating that area. In Photo 9, the color would be rather suitable for a bath. Besides joking, we discover that, although chilly at first glance, the decor is both calm and refreshing. 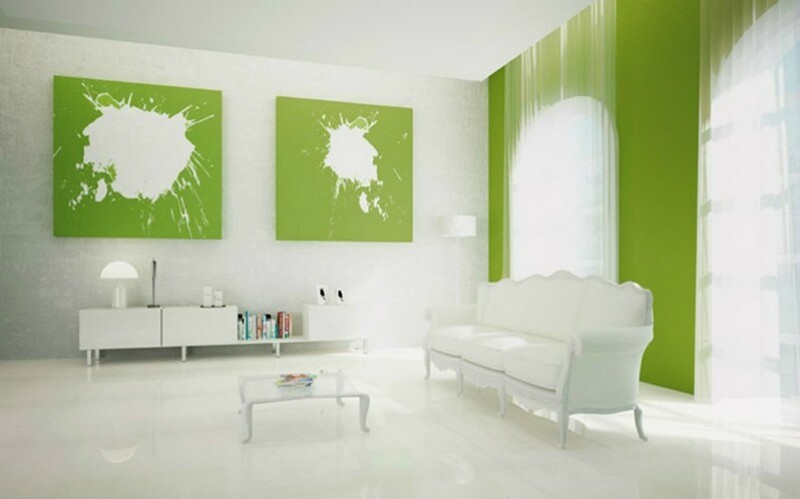 Calm – due to the white color and refreshing – due to the raw green stains. A relaxing minimal in a large room. What indicate these exceptions from the rule? That, if we pay attention to all the details, the interior design of houses can violate generally accepted rules, yet we can still have seductive results. In fact, this unconventional means exactly this: suspending some rules. At the same time, when talking about the interior design of houses, we must not forget that for a comfortable space, pragmatism (the choice of objects, their place, etc.) 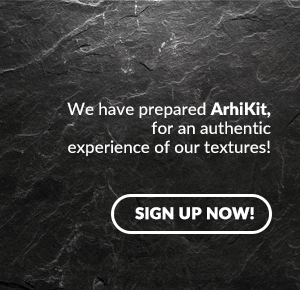 combines with the visual (and tactile) feelings. 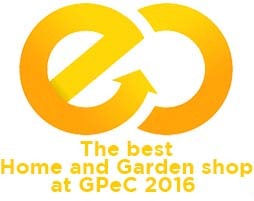 And natural stone is one of the most promising materials in the domain of relaxing color variation. For more details on choosing the natural stone for the interior design of the houses (as well as for the exterior), we are looking forward to your phone calls at +40318.222.333 or emails at export@piatraonline.com. 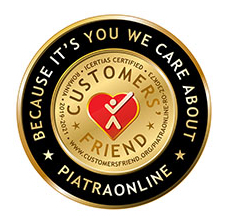 You will find out why we, at PIATRAONLINE, are “Generating Inspiration”.